The aim of this RA is to investigate the dietary intake of folate and PUFA described in literature in order to identify vulnerable population groups and to improve the general nutrition of the Serbian population. We will map the available information of epidemiological intake of folate and PUFA from both scientific and grey literature. To do so, we will develop a new SR search protocol for data identification, extraction and analysis. The major sources of valuable data will be collected from: EC FP6/7 projects (EURRECA, Focus Balkans, NEXUS, CHOICE), the collaboration with UNU/SCN NCDNCEE, and from relevant national food consumption surveys (National YUSAD monography). In addition, RA1 will provide an analysis of folate and PUFA intake, identify a list of foods typically used in Serbian nutrition, and apply the results of all other RA. We will develop and validate folate and PUFA food intake questionnaires (FFQ and 24h) to be used in RA2 and RA4. Developing and using new nutritional software, the folate and PUFA content of the Serbian Food Basket will be determined. The results of the entire integrated RA, will result in the creation of an optimal Food Basket for vulnerable Serbian populations, taking into account both health and the economic status of consumers. Folate and essential FA must be intaken by food. The aim of this RA is to determine folate and PUFA content in foods commonly consumed in Serbia. Identification of the most common foods will be conducted by the evaluation of survey from RA1. Folate and PUFA content will be determined from Serbian database obtained during EuroFIR FP6 project and by using nutritional software from RA1. 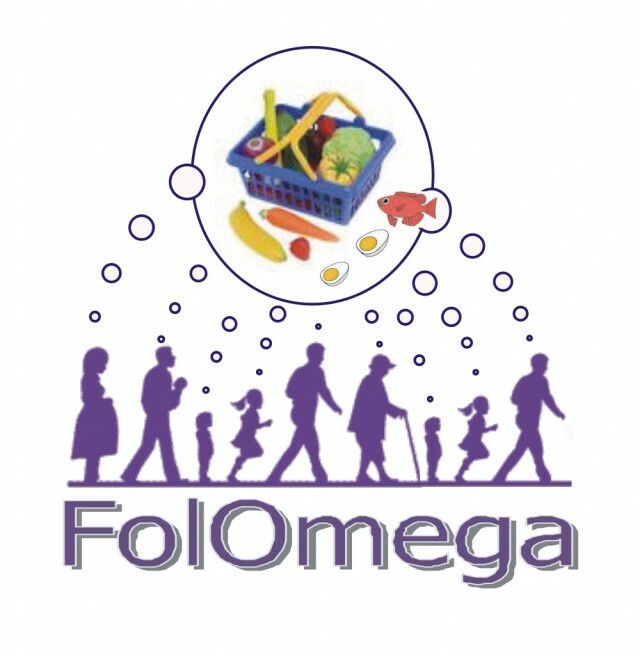 Since the database has not recorded the folate or PUFA content for many foods and due to regional differences of their content in food, we will select up to fifty prioritised foods from the survey and from the consumer basket in order to measure the content of PUFA and folate by analytical methods. The laboratory methods used in the determination of FA (gas chromatography) and folate (microbiological methods) are established and adapted for testing of biological samples (serum, cell extracts, tissues of experimental animals) provided by RA3 and RA4. Food sampling will be done according to the protocols of EC FP6 NoE EuroFIR. Several cultured cell lines (endothel. EA.hy926 cells, CHO-K1 expressing h5-HT1A or hD2L, primary culture of astrocytes), and animal models (of aging ор psychiatric diseases) will be used to test in vitro and in vivo the effects of the compounds: folates, homocysteine and n-3 PUFA. The probable biological effects and markers (related to the specific cell line) that will be evaluated following these treatments in cell cultures, in normal conditions and after submission to stressors, will be: сell viability by MTT assay; apoptosis and reactive oxygen products by flow cytometry, levels of NO, lipid peroxidation, GSH and SOD activity; D2R/5-HT1AR activities by radiologand binding assays; cAMP and cGMP production. The effects of foods enriched with the compounds will be estimated on rodent animal models, where the behavioral (open-field activities; depressive and anxious behavioral markers; cognition and memory) and biochemical parameters (blood levels of the compounds; lipid status; signs of inflammation) will be measured. The aim of this RA is to recognize the etiopathogenetic, therapeutic and prophylactic effects of PUFA and folate intake in patients with chronic non-contagious diseases. Different population groups (healthy subjects, patients with cardiometabolic risk and metabolic liver disease) will participate for the determination of folates and PUFA status biomarkers in correlation to their food intake. Nutritional intervention studies will be based on the modification of a diet with different FA composition or n3 supplementation. They will asses the omega 3-index as a new biochemical-nutritional factor for cardiovascular risk assessment. The effect of food intake enriched with folate and/or PUFA will be studied on several regulatory mechanisms: lipids metabolism, FA profile of serum and erythrocytes, insulin resistance, homocysteine levels, platelet activation and aggregations, parameters of oxidative stress and inflammation factors. Our research activity will analyze and characterize the consumer and producer perception of foods rich in Folic Acid and PUFA. Motivations and barriers toward specific food production and consumption in Serbia will be analyzed. In the context of selected food importance for diet improvement the food chain stakeholders’ status and development will be analyzed both from producers and consumers point of view. The producers’ readiness to offer these products at the market and to use market mechanisms to make broader public familiar with the food value added will be compared and analyzed. The food consumers’ attitudes and behaviors toward products rich in Folic Acid and PUFAs in Serbia will be observed, too. The results will be compared with FP7 Focus Balkans. • Management and dissemination, ethical component – good libaratory practice and ethical criteria for working with human and animal subjects will be respected throughout the research activity. • This project has an extensive multi-disciplinary, partnership, integrative and focus capacity. • Partnership – Collaboration is intended with…., on the level of basic and applied research. The Serbian scientific community has still to develop more extensive and systematic networking and collaboration in order to building a greater capacity in people and resources through networking in education. • Integrative — with small and medium enterprises will help in the translation of the results of our research into a succesful design of new health food products. • Support and involvement of recognized researchers from EU and North American region communities. The involvement of international partners specialized in the translation of the research to patent technology will help bridge the gap between basic and applied sciences.